Do you find yourself pursuing this standard in your life? In a leadership coaching session this week, one of my clients who is senior in the banking world, was describing her frustration with the stress and amount of hours she was working. We were exploring whether this was a work load issue, or was there a different cause. She described herself in a positive way – as a perfectionist. Often when clients use this description they will say, “I am sort of” a perfectionist, which I find interesting. I have never met a “sort of perfectionist”. You either are, or are not, a perfectionist. The origin of this word is theological in nature, meaning a person would have moral perfection on this earth. Paradoxically, this sets up one for a standard that is impossible to achieve. Overwork, being hard on oneself and others, fear of making mistakes and a general sense of “not being good enough” are all outcomes of this. I call this the Horizon Principle, just when you think you are there, there is bit more to go. A study of 10,000 professors by Hewitt & Flett found a statistical co-relation that those pursuing a perfect solution had a lower number of publications, lower amount of citations and a lower impact on their profession. They also had a higher rate of depression, anxiety, eating disorders and, shockingly, a higher rate of suicide. Dalhousie University professor Simon Sherry states, “It is mostly a self-defeating behaviour”. This client’s desire is to do things in an excellent way, to grow and achieve goals and to provide value to her employer and employees…all positive things. 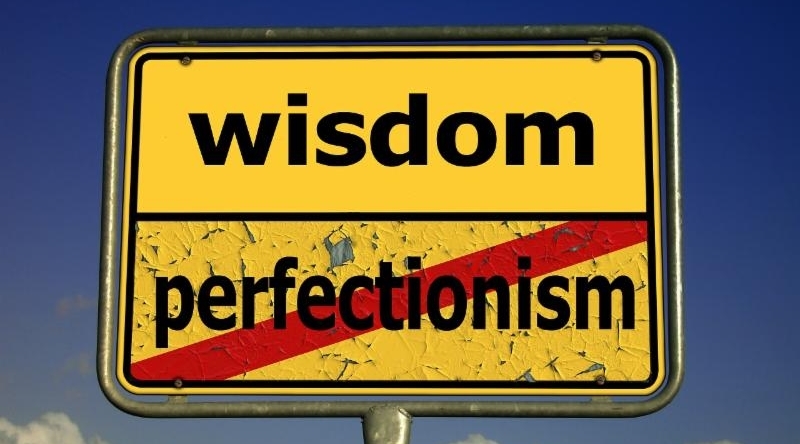 I encouraged my client to no longer describe herself as a perfectionist, but a “progressionist – an advocate for social, political or economic progress”. Steady improvement towards making things better. I also encouraged her to not to try and get this perfect (this behaviour is well ingrained) and to try to be patient . I also asked her to pay attention when she states “that was perfect!”. This will reinforce the behaviour. I call this the 1.0 Principle, get it going…THEN make it better. P.S. Join me for our complimentary CareerClass, “Leadership Begins With You | Learn.Grow.Succeed!” on Wednesday, November 26, 2014 – 12:00pm – 12:45pm Register here! P.P.S. Wondering how to find evolve in your career path? The Career Identity Program is a 1-1 personalized & sophisticated way to deal with this really important question. Who’s your coach? Click here to start the conversation.